It was 31-31 in overtime. After winning the toss, the New England Patriots had the ball on 3rd down at the Kansas City 30 yard line. QB Tom Brady had made two straight third down conversions going to WR Julian Edelman, but this time, he looked in the direction of TE Rob Gronkowski. Gronk had not been himself for most of the season. But after stating that he would ‘seriously consider’ retirement with the conclusion of the season, he had stepped it up so far in this game, with 5 receptions for 64 yards. He was tightly covered by S Eric Berry, but it didn’t matter. He reached up and caught it, keeping the Patriots’ drive alive with a clean set of downs. After that, Brady handed it off to RB Rex Burkhead three times, and he finished the job. Touchdown. 37-31, Patriots win! The Patriots are now headed to their 4th Super Bowl in 5 years, as Brady looks to ‘Blitz for Six’ and Gronk looks to potentially end his career with a bang. The best part is, as intriguing as a Brady vs. Drew Brees match-up would be, they’re playing the Los Angeles Rams, taking the Brady-Belichick dynasty back to their roots. Back in 2001, Brady led the Patriots to their first Super Bowl victory over the QB Kurt Warner-led St. Louis (now Los Angeles) Rams. You could also compare that victory to tonight’s when Brady and co. took down QB Patrick Mahomes II and an explosive Chiefs offense after coming in as 3 point underdogs. The Pats set themselves up for success with a strong start to the game where they showcased complimentary football. The Pats were in no rush in the 1st quarter, so they took their time, running the ball and eating clock on their first scoring drive of the game. It was important to get into a rhythm early on to keep up with the Kansas City, but keeping the ball for 80% of the first quarter works. Their opening drive was the longest playoff opening drive in the history of the Brady-Belichick Patriots. The Pats held Kansas City to under 3 minutes of 1st quarter possession time by sacking Mahomes and shutting down the Chiefs offense quickly. Preventing the Chiefs from developing a rhythm of their own also works. In fact, while the Pats had 100+ total yards after one quarter, the Chiefs had negative yardage. New England had another drive going that continued into the 2nd quarter, but things went south when Brady threw an end zone pick to LB Reggie Ragland. The Chiefs had just successfully pressured TB12 and taken control of the turnover battle in one measly play. Many people say this was a blatant mistake by Brady, but I saw it as a job well done by an underrated, young Chiefs D. Though the Pats had lost their rhythm after marching down the field, they did shut down the Chiefs easily after the interception, forcing 3 and out. With just about 7 minutes left in the 1st half, the Pats had 155 total yards, and the Chiefs still had just -2. However, the Chiefs figured out New England’s formula in their first drive after halftime, marching down the field in 4 plays for a TD thanks to a huge catch by WR Sammy Watkins and a quality TD by TE Travis Kelce in tight coverage. Preventing big plays is a definitive weakness of the Pats D. The Patriots needed to extend their lead so they didn’t have to press the panic button when Mahomes and co. started dominating. They failed to score another TD in the 3rd quarter, but they did add a field goal to their lead, making it 17-7 Pats. However, Mahomes and RB Damien Williams led the Chiefs on a huge drive to end the 3rd quarter. This one did end in a touchdown, narrowing New England’s lead to just 3 points after a somewhat questionable pass interference call. It had been 14-0 at half, but the Chiefs offense had just taken control of the game, outscoring New England 14-3 in the 3rd quarter. The Pats tried again to score a TD at the beginning of the 4th quarter, but they couldn’t convert on 4th down. They forced the Chiefs to punt on the next drive, but initially, the refs called the punt muffed by Edelman when the Chiefs picked up the ball. However, the call was overturned after instant replay showed that Edelman never touched it. Edelman ended up costing the Pats the following drive though, as he bobbled a pass, allowing the Chiefs to intercept it and go on to take the lead with a TD the following drive. The 4th quarter was a back and forth battle with several lead changes. The Pats and Chiefs each scored a touchdown on their next drives, making it 28-24 Chiefs. With two minutes to go, the Pats had the ball in what was still a one possession game. The Pats marched down the field and Burkhead scored the TD, but they scored a little too fast. They left enough time for the Chiefs to add a field goal to tie it up and force overtime. It was 31-31. After that the Pats won the toss, and though it was a nail biter with many close calls and 3rd downs, the Pats made their way down the field for the TD, winning the game! This was Brady’s third OT victory in a postseason game, making him the first player to do so. This was also the first time two playoff games had gone into overtime in one day. Despite 2 interceptions, Brady finished 30/46 with 348 passing yards and a TD. Sony Michel rushed for 113 yards and scored two TDs, and Burkhead had two rush TDs of his own. Edelman and Gronk each had 75+ receiving yards, and James White nearly had 50. Mahomes threw 3 TDs and 0 interceptions as the Chiefs won the turnover battle despite losing, but Mahomes only threw for 295 yards, partly because the Pats had the ball for much longer. Though Watkins had 114 receiving yards, Damien Williams caught 2 TDs as well as rushing in one. It’s hard to name one MVP for the Pats in this game, because everyone did their job. The important thing is, the Pats will travel to Atlanta to take on QB Jared Goff, RB Todd Gurley, and the Los Angeles Rams in Super Bowl LIII. In Belichick terms, ‘We’re on to the Super Bowl’. The Red Sox beat the LA Dodgers in the World Series just three months ago. Can Boston teams not only win two championships in a year, but also beat the city of LA twice? 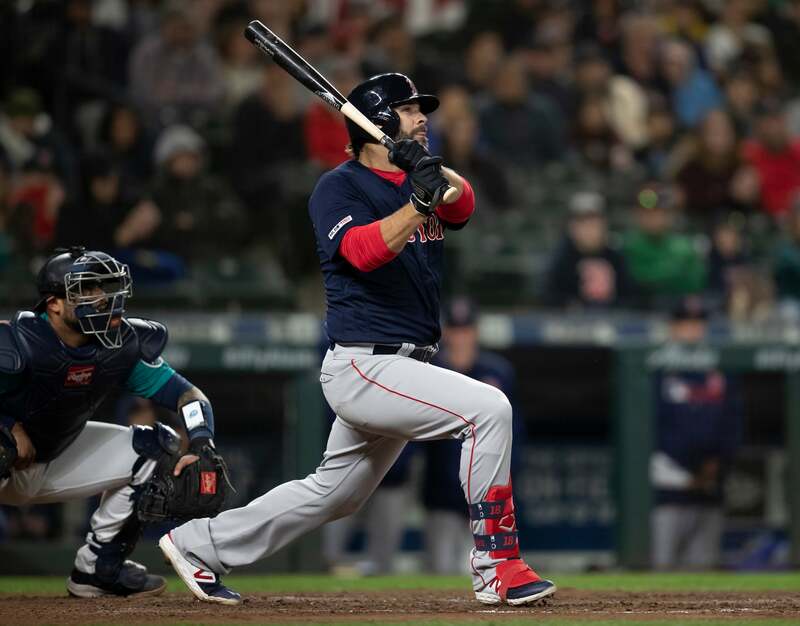 At the start of 2017, when the Red Sox signed Chris Sale, Red Sox reporter Tony Massarotti had said that the Red Sox had a three-year window to win the World Series. If they didn’t win it in three years, it was a disappointment. The Red Sox choked in the playoffs in 2017, similar to 2016. Their choke was followed by a long expected firing of World Series-winning manager John Farrell. The Red Sox hired Alex Cora, a former Red Sox player as their new manager and signed OF J.D. Martinez that off-season. Cora and Martinez were two of our biggest factors this year. Fast forward 8 months, and Cora, Martinez, and the rest of the team is celebrating a 4th World Series victory of the century thanks to Cora’s smart, proactive managing, the dominance of a streaky, explosive lineup, and David Price’s long-awaited playoff successes. This season is one to remember. The Sox finished with their best record in the 162-game era, dominated the playoffs and won the World Series. Game 5 was extra special, as Price performed better on the mound than he ever had in a playoff start. Meanwhile, the Red Sox lineup backed him up with an explosive 4 homer day. The Sox hit some of these home runs against Clayton Kershaw, who is regarded by many as the best active pitcher in the MLB. To start the game, Andrew Benintendi, who has dominated against Kershaw, singled in his first at bat. Steve Pearce, Boston’s unlikely hero this year, followed up with a 2-run homer. This wouldn’t be the last the Dodgers see of Pearce, who was brought on board after the release of Hanley Ramirez. Pearce outperformed Ramirez by far. Dodgers infielder David Freese struck back with a leadoff solo shot of his own in the bottom of the 1st, making it 2-1 Red Sox. Freese went on to have a 2-hit day and was the biggest threat to Boston’s victory. But after giving up the homer, Price settled down, throwing just 89 pitches in a total of 7.0+ IP. That’s the best we’ve seen his pitch count at in any start this season, regular season or playoffs. Believe it or not, Price was out-pitching Kershaw. That was a somewhat normal occurrence before 2016, but was a complete shocker to Dodger fans in this game. Not only was Price out-pitching Kershaw, but he actually looked like a $31 million/year pitcher. Kershaw also settled down, but his pitch count was not as solid. The Red Sox lineup quieted down until about the 6th inning. To this point, Mookie Betts and J.D. Martinez had been in World Series slumps. 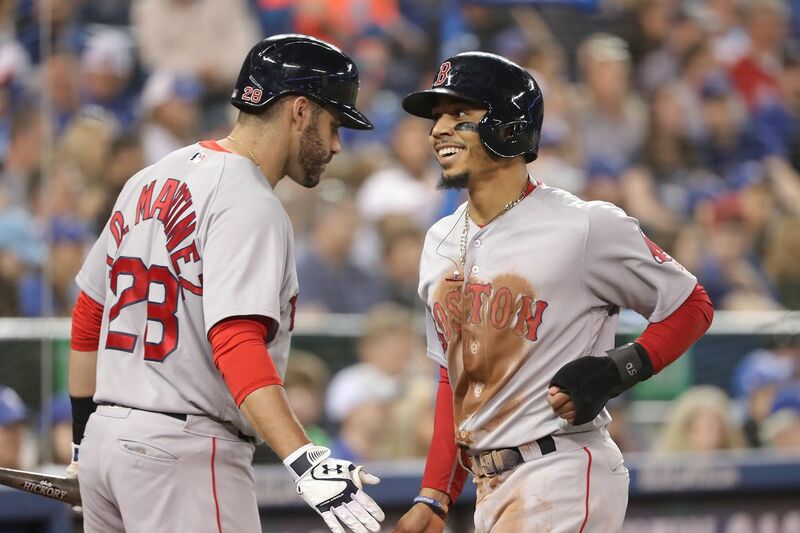 But both hit a solo home run in Game 5, Betts in the 6th, and Martinez in the 7th. Just like that, the lineup had awoken, and it was 4-1 Red Sox. Pearce added to it with an 8th inning solo shot making it 5-1. Now it was up to the Sox bullpen to secure the victory after 7 strong innings by Price. 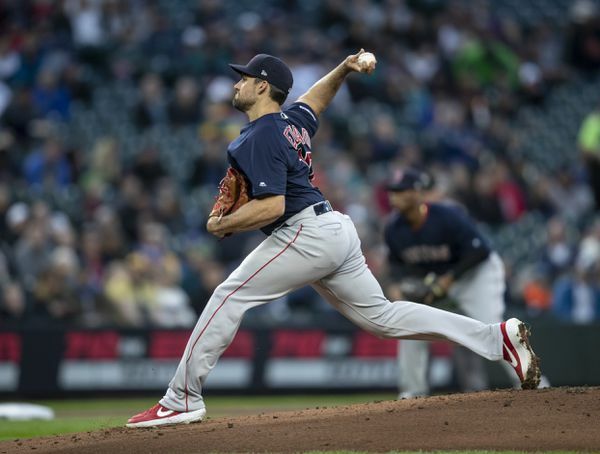 Joe Kelly dominated in the 8th inning as he had been throughout the playoffs, striking out three consecutive batters after David Price walked Chris Taylor and left the game. In the 9th, the Red Sox opted to bring in their ace, Chris Sale, in hopes he would finish the game off strong. Sale proved himself, striking out the side and winning Boston the World Series. The Red Sox paraded through the city on duck boats this past Wednesday and will look to defend their title in 2019.